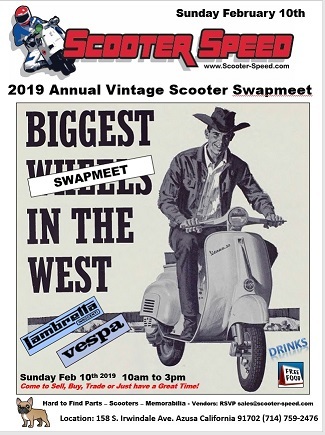 We carry parts for your Vintage Vespa and Lambretta Motorscooter. Authorized Dealer of MB Developments (UK), SIP ScooterShop, LTH, Scooter-Center (Germany) Pinasco, Casa Lambretta, Casa Performance, PLC Corse and Rimini Lambretta Centre (Italy) . If you notice Scooter Speed only carries the best brand name parts available! We stock it here in the states! When you need it most!